What can one say when one is blessed with 2 milestones on one trip. 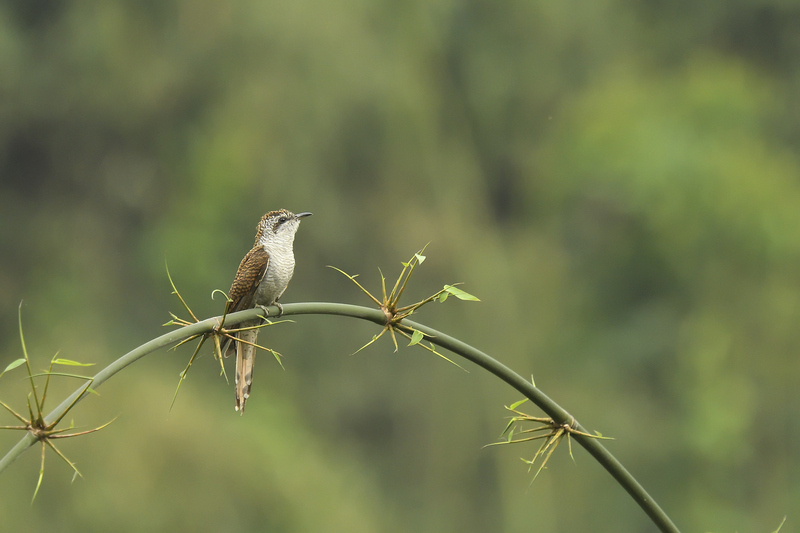 This was my #600 from the same Mishmi Hills trip that I also got my #550 – a rich haul of 58 lifers from just one outing. This hadn’t happened before and I don’t expect that it will happen again. Thats the richness of the North-East for you, things like this happen there. Infact, at that time I was still under the mistaken notion that this image of the Banded-bay Cuckoo was #598. And I was quite miffed that I will have to wait for atleast 5 months and my next trip to reach this milestone. On the way back to the airport, after we had wrapped up, I was still looking out for any chance to snag one to get me over the post and spare me the agony of the wait. Till I started processing the images and discovered that I had decent images of the Chestnut-crowned Warbler (there was a separate post on that a few days ago) and the Himalayan Cutia – two birds that I didn’t think I managed to get usable pictures of, so I hadn’t even bothered to write them down. My 400th was the handsome White-bellied Drongo in Ranthambore on 18-Jun-’16, the 500th was the strikingly attractive Bar-throated Siva in Tungnath on 22-Apr-’17 and there you have it, my 600th Indian Bird, the lovely Banded-bay Cuckoo in Mishmi Hills on 08-Apr-’18. Less than a year from my last two centuries but I am pretty sure that the next big 100 will take a while longer.